Barely a hundred metres before it plunges into a valley as spectacular Panther Falls, this Rocky Mountain creek swirls around and through centuries-worn rocks. This creates many photo opportunities and I spent an hour exploring them all. A wonderful shot, Frank. 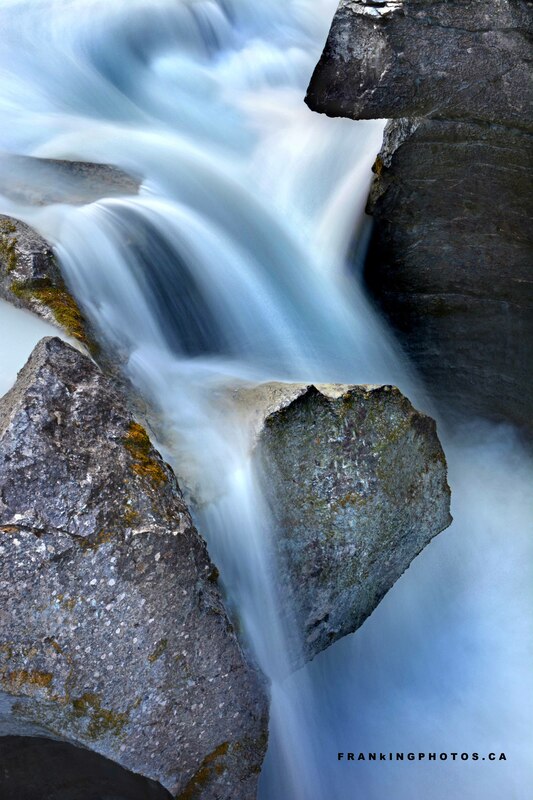 I love the contrast of the fast, but smooth moving water with the hard, still, jagged rocks.